Saving Capitalism (2015) is a biting critique of the world’s economic order but also an optimistic look into how capitalism could support the common good. 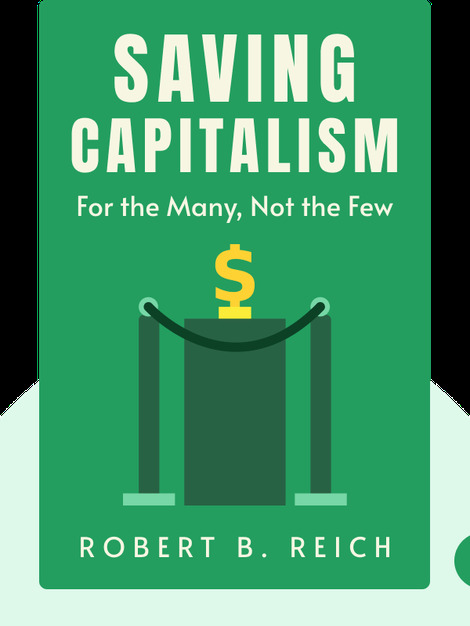 These blinks will teach you how and why capitalism is failing most people, and where it needs to go to do right by the majority. 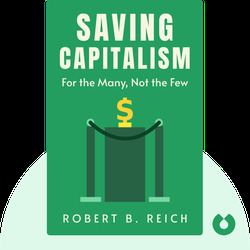 Robert B. Reich is the Chancellor’s Professor of Public Policy at the University of California at Berkeley. Prior to this, he served in three presidential administrations, most recently as labor secretary under former US President Bill Clinton.